Waterside At Lanier Springs features large traditional styled homes. Located in Buford Georgia, it makes up one part of the larger Lanier Springs subdivision. Waterside at Lanier Spring's sister neighborhoods are Parkside at Lanier Springs and Creekside at Lanier Springs. It is conveniently located off of Suwanee Dam Road near Buford Dam Road. The subdivision is very close to Buford Dam and is a short walk to East Bank Park on Lake Lanier. 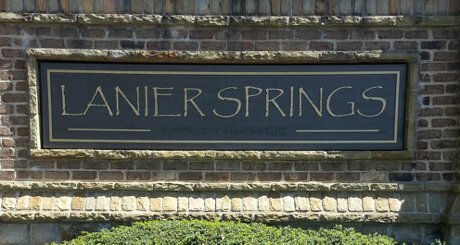 Waterside At Lanier Springs is a newer subdivision offering a community pool, clubhouse, playground, sidewalks, underground utilities, and street lights throughout. Waterside At Lanier Springs is servied by the Gwinnett County School System. Lanier High, Lanier Middle, and White Oak Elementary are the communities schools. The homes available for sale in Waterside At Lanier Springs Subdivision are listed below.